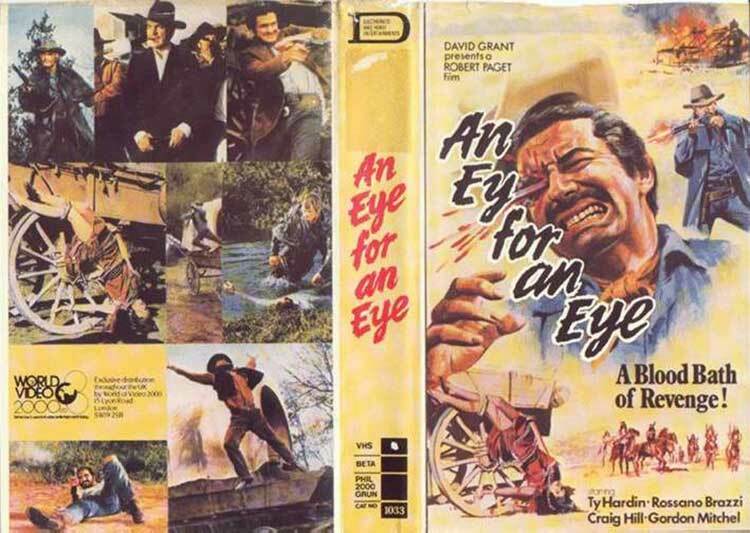 The title character is a small mechanical toy, the only thing our hero finds in the ruins of his home when he comes home from the war, a Union officer(Ty Hardin who we know only as the Stranger), finding the home burned to the ground. His wife and son had been murdered. A lot of the film is flashbacks, from The Stranger’s point of view as well as some of the villains. The glaring plot hole is The Stranger says he knows all of the men who did this but the laeder. How did he know this? The ashes were cold. And if he knew the participants, how did he not know the leader. He uses a multitude of disguise. mostly a doomsayer predicting dire consequences as the men are shot down. Also, an undertaker. This film has a checkered history. As was common back then, the English language release was heavily cut. The version I saw had most of those scenes restored, mostly add-ons to longer ones. You’d be watching and they would break into Italian for a few senrences. Especially noticeable in the wild west sequence. Spaghetti vet Craig Hill has a small role as O’Connor, the owner of the wild west show. During his spiel, he went back and forth from English and Italian. An Indian girl from the show, Rising Sun(Rossano Brazzi), aids The Stranger. Two other vets had parts as well. Gordon Mitchell was the thinnest as a deputy and Rossano Brazzi was more prominent as the Sheriff. The music score was mostly borrowed from The Hellbenders. Not a great film. I have seen worse though. 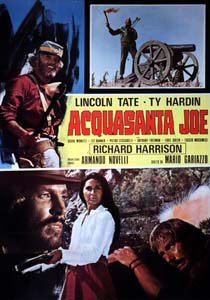 One is never quite sure whether director Mario Gariazzo wanted a comedy, a serious western, or a mash-up of both in ACQUASANTA JOE, this 1971 spaghetti western. We get as picture that never quite seems to morph into anything but a convoluted mess. To be sure, I enjoyed this one despite all it’s faults. But then, I’m a fanatic for this genre anyway. The plot is simple enough. A bounty hunter banks all his earnings in an Austin establishment. A gang robs the bank with the aid of a stolen army cannon and the bounty hunter goes after his life savings: fifty thousand dollars. Of course the money for the gang doesn’t hurt either. 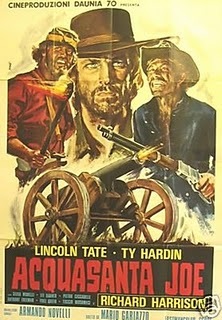 The film is set in late 1865 shortly after the Civil War had ended. 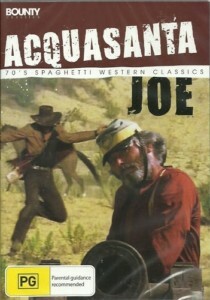 The bounty hunter is Acquasanta Joe played by actor Lincoln Tate. I can’t remember ever seeing him in anything else. 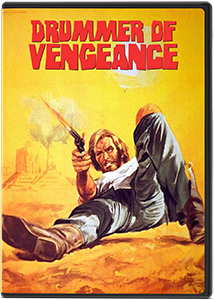 Ty Hardin is the gang leader, Jeff Donovan, a former Confederate colonel turned renegade with some of his troop. 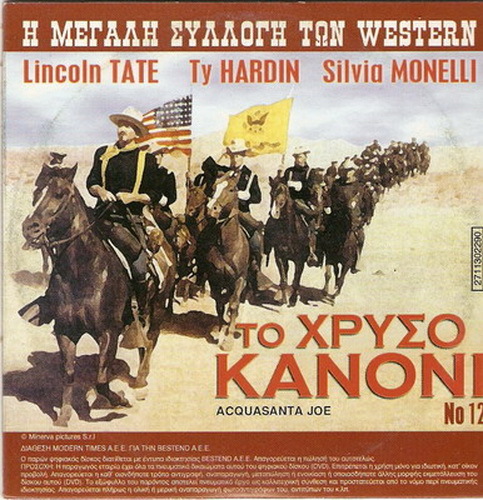 Hardin is better known for his western series BRONCO. And here’s something I wasn’t aware of until a bit of research turned it up. Hardin was brought in as a replacement for Clint Walker who wanted improvements in Cheyenne. It lead to him getting the Bronco role. The film seems to be missing a lot, either cut in the version I saw, or not filmed at all, more likely I think. 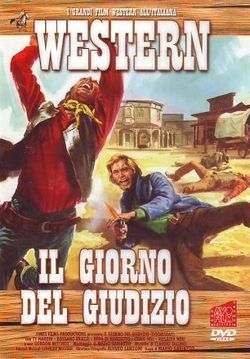 Spaghetti westerns were notoriously low-budgeted and this one seemed even more so. A few bits of dialogue went toward explaining large gaps in the story. We’ll get into that a bit later. Actor Richard Harrison looked to have been brought in for name recognition only. The handsome American was virtually unknown in his own country, but a huge star in Europe on into the late seventies. His movie star looks and toned, but not overly so, physique got him roles in a number of sword-and-sorcery films, then spaghetti westerns, and on into spy films. His role in Holy Water Joe was short and an ugly end in a hanging. He plays Charlie Bennett, Donovan’s lieutenant. The plot holes. We see the gang rob the Austin bank, Donovan’s men dressed in Union uniforms. Next, we see Joe grabbing Charlie from the middle of his love nest with a redheaded prostitute. Apparently he ran off with the money from the bank robbery and Donovan is pissed. We only get this from a bit of dialogue between Joe and Charlie. Joe takes him back to Donovan and demands ten thousand for it. Donovan hands it over after a bit of negotiating and Joe leaves. Beatings, threats, and an escape follow. Joe has helped him escape and wants to know where he hid the money, his money. Joe has a plan, which he discusses with an army colonel. Of course we are not let in on the plan. We just get it watch it unfold. Disastrously! Old Charlie is to be hanged.It’s a set-ip with Union troops hidden in the hills around the hanging site. Joe sends his paid informant, a character driving around ina waon with the words “The Sicilian” painted on the sides-possibly a medicine show?, we’re never told- who sets them up and half the hidden troops are killed and Charlie ends up hanged. Hands tied behind his back, his horse bolts during the stretch of gunfire. Joe has gone to blow up the cannon while that’s happening. 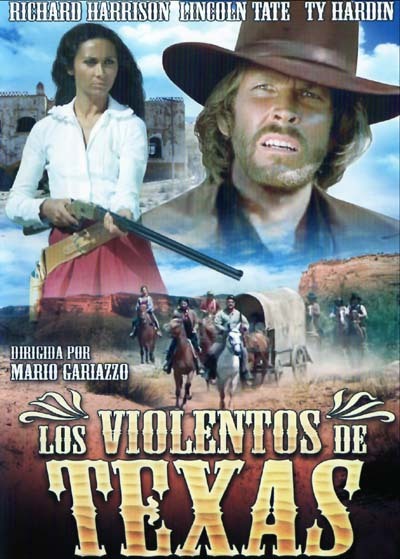 He’s intercepted by Donovan’s girl friend, Estella(Silvia Morielli), a beautiful half Indian who looks quite good in the Union cavalry pants sh wears, along with a low slung gun belt and pistol. We next see her dallying with Joe in the bushes just before Donovan captures him. The whole film seems to be about shifting alliances, Sylvia with Joe. One of Donovan’s men, Sgt. Butch, decides to take over the gang and is sided by the rest. Donovan and Joe slide in and out of partnerships in the second half of the film. The grand finale finds Butch, the last member of the gang alive, loading and reloading the cannon as Joe and Donovan run toward him. The cannon seems to be conveniently on a small hill that one man, despite Butch’s size and strength, could possibly place it atop and get angled just right. And they must have been a hell of a distance away. Let’s see: pour gun powder, tamp it down, place a cannon ball, tamp it down, light the fuse. A half dozen times. It all plays out amid some sort of Indian burial ground, with Donovan donning some of the get-up left at a spot, Joe grabbing a well placed bow and arrow set. A word on the English language dubbing. To say, badly done would be a kindness. The voices for both Donovan and Charlie seemed to be done by the same man with only an accent added to one. To see what sounded like a creaky old sidekick voice coming from both Hardin and Harrison was disconcerting to say the least. Hardin’s character Donovan was a former Confederate officer. When not pulling a job, he woe uniform and cap of the Confederacy. Yet when Joe discusses his plan with a Union general, which as mentioned we never learn, and demands thirty thousand, the general asks why. “He’s an officer who stole my money from the bank. I hold you responsible!” Now why would a Union general be responsible for a renegade Confederate officer? 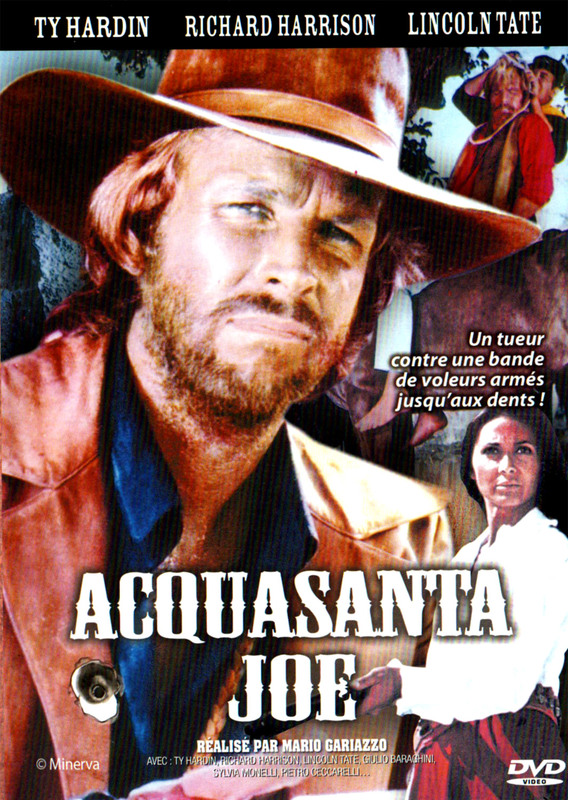 Only once in the film is Holy Water Joe used(and I could find an English language poster), the rest of the time he’s referred to by the Italian name. The print I saw on Youtube must have been the German release used to dub. The title was WEIHWASSER JOE. 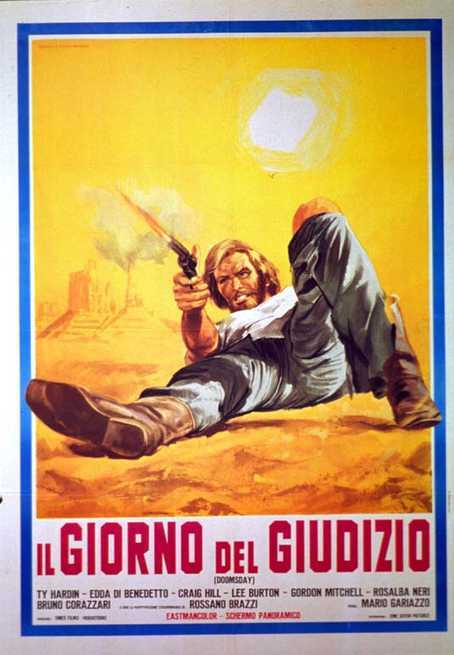 There is the usual high body count in a spaghetti western. But in all the close-ups of bodies, not a drop of blood is spotted anywhere. And finally the music. Comedy all the way. Check the trailer below and see. Not a bit of dialogue, just action and that comedic soundtrack. It takes a real spaghetti fan to enjoy this one. That’s me. I might not recommend this one to anyone else though.